What degree type would you like? What specialization are you looking for? Thank you for you interest in Liberty University Online! A representative from our school will be in contact with you soon. Have a great day! Through the James C. Dobson Center for Child Development, Marriage, & Family Studies, Liberty is equipping men and women with the knowledge to positively impact families and society for Christ. Whether you are a pastor, counselor, caregiver, teacher, business person, or just someone who wants to learn more about biblical positions on the family, these courses will strengthen your faith and increase your knowledge of family dynamics and family advocacy. The Bachelor of Science in Psychology program approaches the discipline from a Christian perspective, providing a firm foundation to help you understand psychological behavior and development. Through this program, you will study recent personality theories and how they relate to group dynamics in business, industry, and public and private life. You will learn a diverse range of theoretical approaches to psychotherapy and counseling through evaluation-based methods and techniques while gaining an understanding of the functioning of the human body that will assist in explaining mechanisms of behavior. The Dobson Center’s online minors pair well with a Bachelor of Science in Psychology but can supplement any major — helping students not only excel professionally but also become men and women of character who infuse our culture with faith. Whether you are a pastor looking to improve your counseling skills, a counselor who wants a stronger biblical foundation, or a parent who wants a better understanding of child development, the Dobson Center is ready to educate, equip, and encourage individuals to serve families, children, and couples. Do you have a calling to help families in need? This program equips students with the knowledge and skills critical for effectively counseling families and individuals in a variety of church and parachurch settings. Courses cover topics such as premarital, marital, and family counseling. Graduates of this program will be equipped to integrate a Christian worldview and commitment to biblical values into the counseling setting. This program prepares you to positively impact families in your community, equipping you with the skills to advocate for the rights of children and families from a Christian worldview. You will learn to assist families facing issues such as divorce, blended families, or the destructive behavior of a child. This degree program blends core human services courses, such as interpersonal communication and group dynamics, with advocacy training to prepare you to be a voice for families. Make a positive change in the world by getting your M.A. in Pastoral Counseling: Parent & Child/Adolescent. In this master’s program, you will learn biblical counseling principles and strategies to assist parents and children in a variety of church and parachurch settings. You will take courses covering topics such as multigenerational influence, childhood issues, and crisis intervention. These courses will equip you to integrate a Christian worldview into the counseling field. 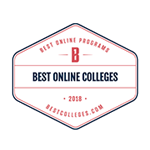 Why choose to study online with Liberty University? Liberty University is one of the nation's largest nonprofit educators and the largest Christian university in the world. 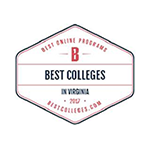 With the same quality course offerings as Liberty’s residential campus in Lynchburg, Va., our online program provides an academically sound education taught from a Christian worldview. Liberty allows you to achieve your educational goals while maintaining the flexibility that only virtual classrooms can provide. Liberty offers some of the lowest tuition rates among top online universities; scholarships and flexible payment plans make it even more affordable. As your partner in career development, we are committed to helping you navigate the financial aid process smoothly. Take the next step and submit a request form to start your journey at Liberty today! Liberty University is among the most affordable online universities in the country. Our low costs and flexible course schedules allow you to maintain your home and work life while you further your professional development. Liberty University monitors and collects various types of information from our website visitors for legal and policy compliance, for the maintenance and security of the network, and so we can adjust our websites to meet our users’ needs and expectations. Some of this information is collected automatically and other information is provided by site users. The university reserves the right to restrict the use of its information technology resources and to remove or limit access to information technology resources. 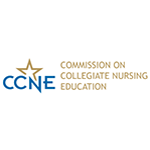 As a nonprofit university, we have been pioneering distance education since 1985 and offer a unique and proven approach to online education. Along with our advanced accreditations, we also have been recognized by the following organizations for our excellence in education. 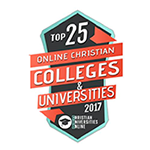 Liberty University's online programs ranked in the top 10 of more than 2,100 online colleges and universities for academic quality, affordability, and accessibility. © 2019. Liberty University is a registered trademark.